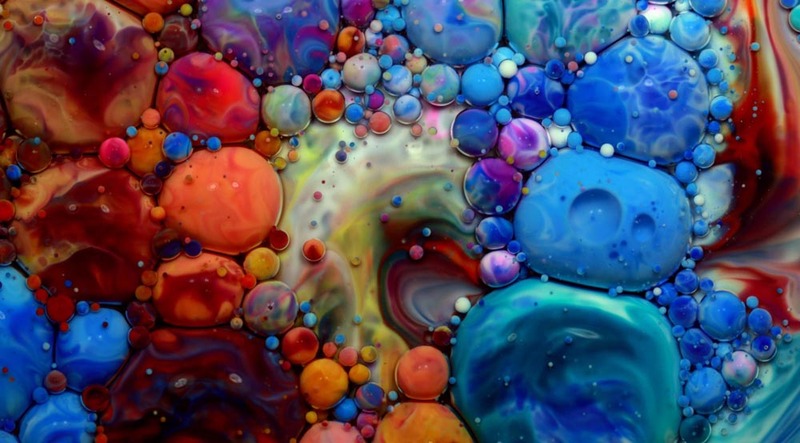 Liquids are not static in nature: they move, mix, blend, mingle, bubble, billow, flow… When the right fluids are mixed the right way, they create temporary micro worlds that did not exist beforehand; before your eyes, tiny complex worlds emerge. You can only control so much; quantities, order, flow, colors… Once you’ve blended the liquids together, what’s beautiful one second might turn nightmarish the next one. Sebastien explains his work by saying, “I started experimenting with mixing liquids on my skin for a music video I had in mind. In the middle of the video shoot, I took a picture to show a friend what it looked like. 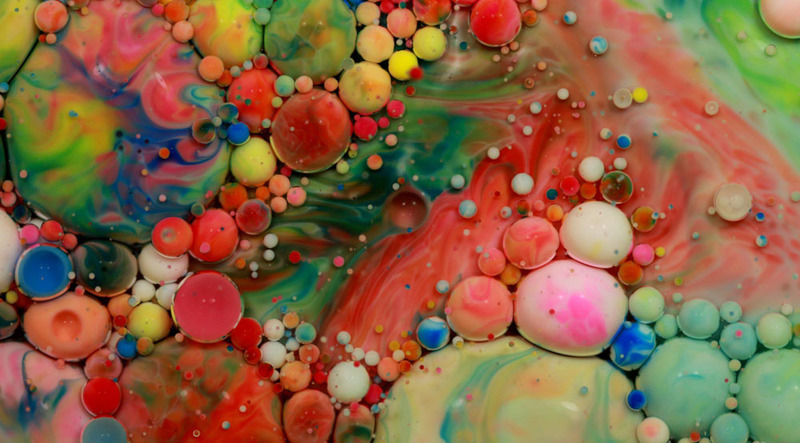 I instantly fell in love with the picture; shortly after, I became obsessed with experimenting with different liquids, observing how they reacted and interacted together. That’s how The Big in the Small was born. Now, my focus has primarily shifted to this project, which allows me to create pictures, videos and visual art out of liquids”.